Every time an amazing discovery is made on Mars, they quickly tell the sheep it is a rock or shadow! Time and time again. They try to make excuses for the objects being discovered all over Mars. This time, they are not fooling anyone by saying it is just a rock formation. No doubt, some of the small minded out there will say the discovery is just a printing error or a ‘create overlay’ failed, what else, but for those out there with an open mind, know we are being lied to. 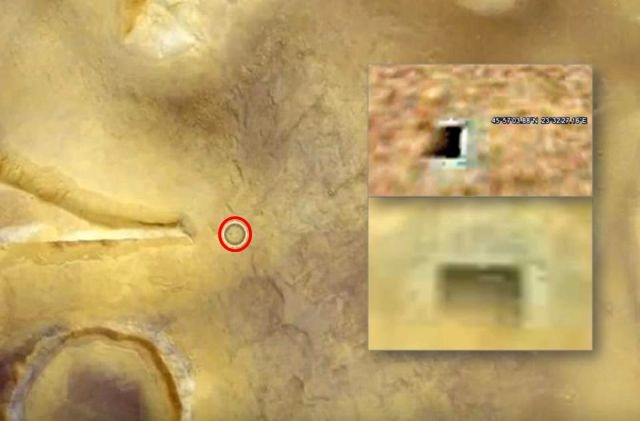 Researcher Marcelo Irazusta found at least seven mysterious structures and entrances on Mars and some of them even seem to have something inside and most are intentionally hidden. He also found more that were clearly covered up partially by a crappy Photoshop job.